Curd is known to be rich in lactic acid that helps in shedding process of the skin. It makes the skin fresh and healthy and hence can be combined with various other ingredients to use in scrubs. Use almonds and curd for oily skin as an exfoliator daily and feel the softness and suppleness within a week. Curd also helps in preventing premature aging of the skin. It forms elasticity within the skin cells that nourish and growth healthy, giving a pliable outer layer. There are various minerals, vitamins, essential fats and proteins in curd that help in nourish and nurture the skin to give youthful look. The fat content in curd seals moisture in the inner layers of the skin, making it soft and glowing. It keeps the skin cells hydrated and removes pigmentation and dullness. Curd has a cooling effect on the skin and hence is the best way to heal sun burns in summer. It also helps in de-tanning. Curd reverses the formations of pimples and acne by washing off bacteria and fungus from the inner layer. It also helps get relieved of inflammations. 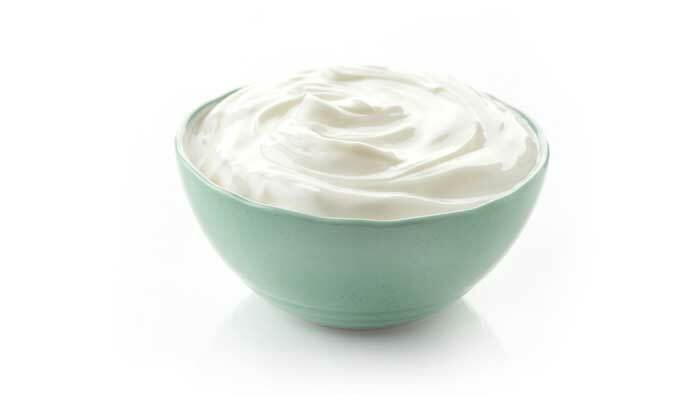 Regularly using curd or yogurt for skin care makes it shades lighter, improving the skin tone drastically. It also helps in smoothing the skin texture. Curd has anti-bacterial properties that clean the skin, keeping the inflammations, pimple causing free radicals and acne at bay. Curd is a natural way to get rid of spots or blemishes that most people suffer from these days. Blemishes are usually considered the first sign of premature skin aging and antioxidants in curd helps in overcoming that.